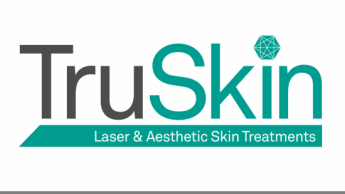 Welcome to Truskin Laser & Aesthetics, I offer my clients a wide range of proffesional Laser and IPL advanced skincare treatments in Norwich, all carried out carefully, ensuring safety and confidentiality. I am fully insured and qualified, with years of experience in laser treatments and I am certified by The University Of Manchester in Advanced Skin Laser Applications. I use one of the most advanced & modern laser & IPL systems on the market which is serviced regularly and compliant with all health and saftey requirements. I follow the latest trends and go on regular courses, to ensure I provide my clients with the most up to date treatments and techniques. Being customer orientated, my priority is to meet your individual, specific requirements, expectations and desired results. I offer a professional, personable service not only on the day of treatment but for the future. It may be a follow up appointment, support, advice or further treatments you require . Whatever your needs I am responsive to your requirements and my service will not disappoint. Above all, I am personable, very friendly and easy to get on with. I will deliver a great service and fantastic results.